AkucalThe world's best selling x-ray scaling tool. Scaling an x-ray image is mandatory in order to assure the highest level of accuracy throughout the planning process, especially orthopedic templating. The Akucal™ is the best selling scaling tool in the world and is trusted by the best orthopedic surgeons. The Akucal™ is a must for every x-ray suite and is compatible with all software. Functionality, durability, sanitation and passion for perfection come standard. 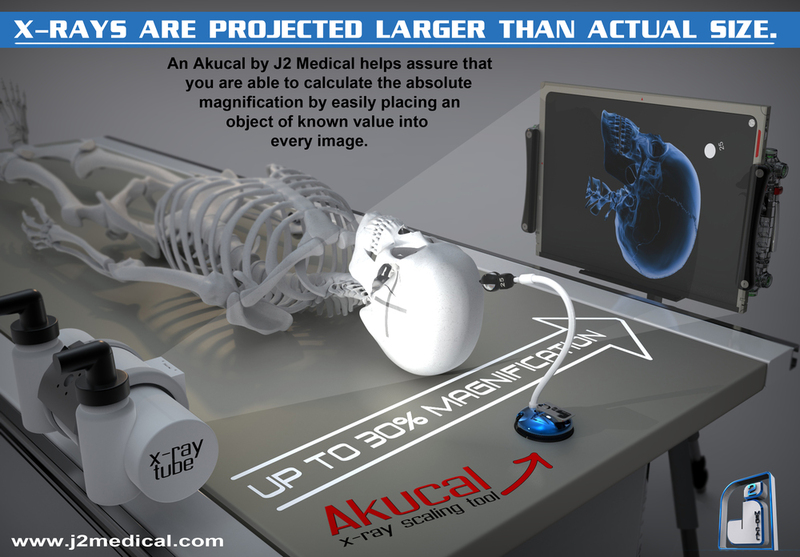 J2 Medical's PATENTED Akucal has been under continuous development since 2007 and is used at more than 5000 locations Worldwide. Try one free today for 30 days!